Corinium Continuous Limited is proud to be associated with Bank Security Printing’s cheque and credit book ordering portal, Bank Security Software. We are a C&CCC accredited secure trade print facility, and receive and fulfil orders via Bank Security Software for Bank Security Printing’s large customer base of banks and financial institutions. Banks retain control over which personnel from their team can access client data, with inbuilt data handling, meaning it’s very quick and easy to order the right product for the right customer. 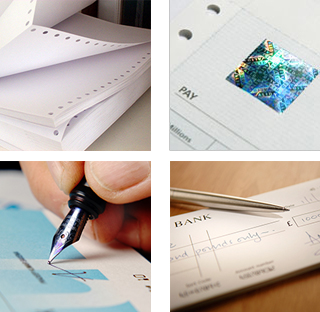 Cheque and credit book orders are sent securely over SSL to our print facility, and banks can track their order from draft, to submission, to dispatch. This product is simple, safe and secure.